Simple to use free editing software and resources available on this site. Use our packages to put the most memorable Bible stories into video form playable on any cell phone. Minimal editing required. Packages come complete with scripts, images, music and sound effects. You just add the translation! Order the disc to receive all the software, images, music and story scripts. 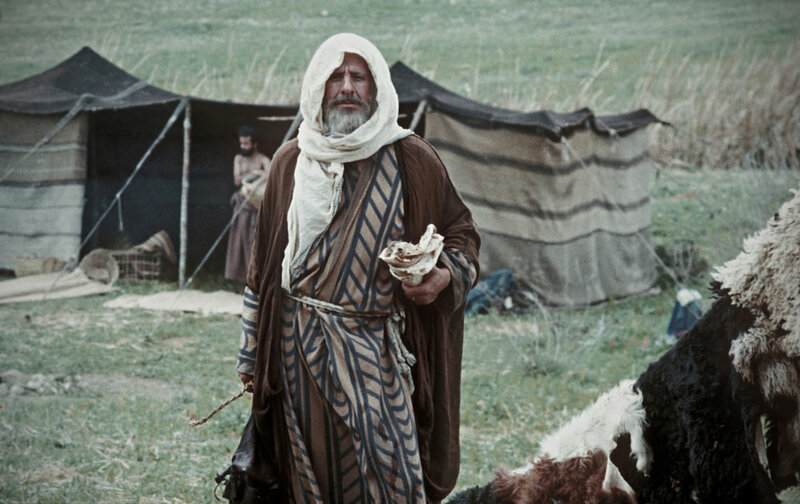 The package uses over 1400 images used by permission from the Jesus Movie. Easy instructions guide the user through the process of producing their own videos of the life of Jesus as told by Luke. There are 25 story scripts available. Check out the details below. Telling the stories of the Bible through illustrations, this resource contains everything needed to produce simple Bible story videos. Useful during any stage of the language program, even where there is no language program in progress. Entire communities will be empowered as their own storytellers narrate and produce vernacular videos. Order the disc to receive all the software, images, music and story scripts. The package uses over 930 images used by permission from the copyright owner. Easy instructions guide the user through the process of producing their own videos of the lives of the Old Testament characters from the book of Genesis. There are 15 story scripts available along with finished videos (in English) for review. Check out the details below. The Book of Ruth presented in video template form. Images from Berg Productions Inc. capture the beauty of the story as it unfolds in the Holy Land. Permission is required to use this particular set of images and template. Simply apply using the form on the Book of Ruth web page. Seven research* based packages of Old Testament video templates allowing the translator to easily create short Bible story videos. Click on the link to the Bible story video templates you want to translate. You will be directed to a download folder which has all the information to make your Bible story video. We are currently editing material on this page. The Matthew 1:1-16 Genealogy provides a clear account of the lineage of Jesus starting from Abraham and continuing through Jesus. The stories behind these characters provide a wealth of information about biblical truths which span the whole Bible. The Genealogy Series provides another valuable tool to bring a rich understanding of events in the New Testament through a clear understanding of Old Testament character narratives using color illustrations in video form. We are currently editing material on this page. The story begins with the earliest written forms of Scripture and follows the progression to our present day Scriptures. Starting with the Hebrew Old Testament, the overview tells the story of how the need to put the Scripture into the language of the people drives the need to translate. It traces the roots of the Greek, Hebrew, Latin and European language Bibles culminating with our present day translation work. It also highlights those translators who were key figures in the world of Bible translation such as the Hebrew scribes, Jerome, Wycliffe, Tyndale, Luther and others.